ANZ Innovyz START, one of Australia’s leading start-up accelerator programs led by renowned entrepreneurship expert� Dr Jana Matthews, today presented its third round of graduates at what has become Australia’s largest Demo Day. 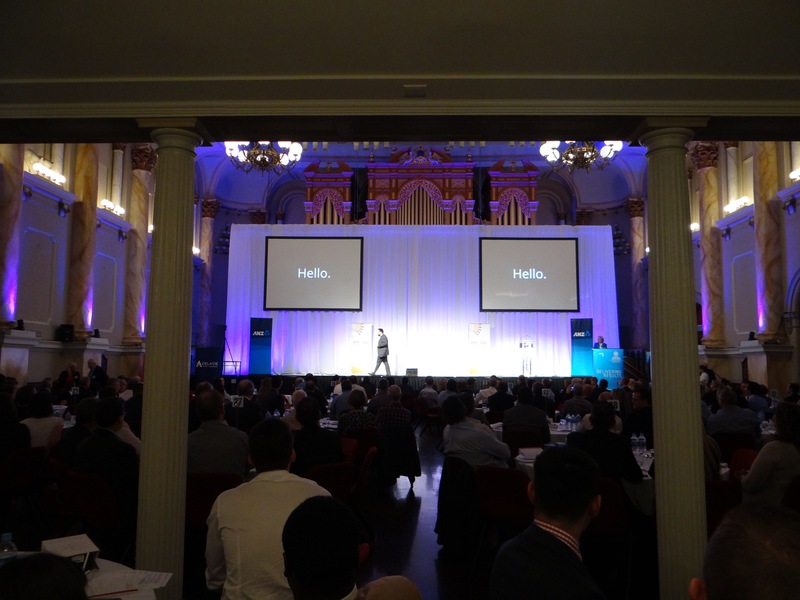 Over 450 observers and investors gathered at Adelaide Town Hall to hear 10 start-up and growth ventures pitch their companies, after 13 weeks of intense mentoring and development. The winter 2013 program includes six start-ups from Australia, Italy and the Ukraine, and four growth companies selected for ANZ Innovyz BRIDGE, a follow-on program for companies that graduated from START, have received investment or a large contract, and are ready to accelerate up the growth curve. ANZ Innovyz START program director� Dr Jana Matthews commented: “Over the past eighteen months we have demonstrated that we can identify break-through ideas, teach teams what they need to know to grow companies, and move them from start-up to growth in 13 weeks. Every one of the ten companies presenting today has huge potential. We’re proud to have played a role in the evolution of Australia’s start-up ecosystem and to have helped 26 exciting new companies accelerate up the growth curve. ANZ General Manager for Small Business, Nick Reade, said: “As we’ve seen at today’s Demo Day, the start-up market is made up of people that have a great idea and a burning ambition to make it work – all they need is a leg-up. “As one of Australia’s biggest banks, we’re pleased to do our part to help foster growth of start-up businesses through the ANZ Innvoyz START and ANZ Innovyz BRIDGE program. South Australian Minister for Manufacturing, Innovation and Trade and Minister for Small Business Tom Kenyon said the ANZ Innovyz START programs play a fundamental role in encouraging innovation and giving entrepreneurs the tools to pull together the skills, contacts, capital and drive to turn a great idea into a business reality. “The sharing of knowledge and ideas that ANZ Innovyz START encourages is integral for fostering innovation and developing partnerships that can see great ideas reach fruition,” Mr Kenyon said. “Our Government is committed to helping foster innovation which is why we‘ve provided $600,000 over two years to fund this important program. Mr Kenyon said innovation is a key component of the State Government’s priority area of Growing Advanced Manufacturing. ANZ Innovyz START is a 13-week accelerator program, and provides a $20,000 stipend to teams of three who are selected to participate in the program. The Program Director works with each company to commercialise its break-through innovation. The program includes mentoring by successful entrepreneurs, learning programs around growing a company, identification of target markets, working and reworking the company’s plan, and a presentation to potential investors on the last day of the program. ANZ Innovyz START is one of 53 accelerators in the Global Accelerator Network. For more info:� www.innovyzstart.com.